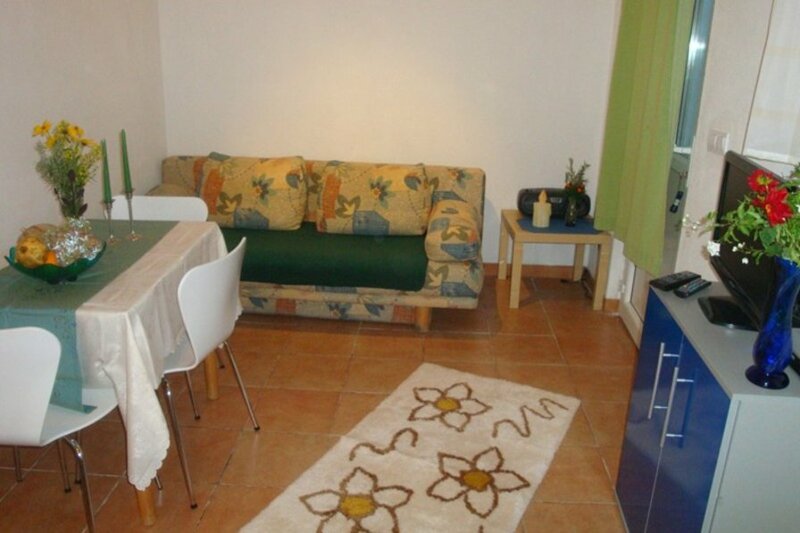 Studio apartment on the ground floor with large terrace. 7 km away from the Supetar ferry port, and 13 km by sea from Split. A small picturesque locality with a Mediterranean atmosphere and beautiful pebbly beaches that stretch towards the west and a tame hinterland crisscrossed with a multitude of paths. Numerous cultural monuments, various events and sports activities make it a good choice for sports and cultural tourism, and an active holiday. Sutivan is beautiful in all seasons. The greatest wealth of Sutivan lies in its people. The humble and hardworking Mediterranean spirit of your hosts, restaurateurs, service staff, people you meet while walking and on the beach, will ensure that your stay is more than pleasant. They are the sons of fishermen and farmers, nobility and intellectuals, who have made this place a small treasury of cultural and historical content, with a rich tradition and preserved customs. Sutivan is only 10 minutes drive from islands capital - Supetar. Supetar is very well conected with mainland - in the summer there are 14 regular line per day + extra so the ferry runs almost every hour. From supetar reaching Sutivan is very easy..